My name is Dr. Tom Rooney. I am professor of biological sciences at Wright State in Dayton, Ohio, and have spent 12 years of my career here. In 2015, my colleagues elected me to be Treasurer of the Wright State chapter of the American Association of University Professors (AAUP), the union representing faculty. As Treasurer, my responsibility is to distribute strike funds raised in a fair and equitable manner to all faculty members who were on strike for the full 20 days. 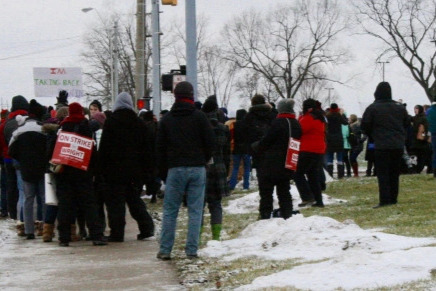 We will use funds raised through GoFundMe, along with direct donations from other unions, to make a one-time payment to AAUP strikers to partially offset wages lost during the strike.